"installed the jet kit in my 2009 Honda Shadow Spirit VT750C2---bike runs superb! Completely eliminated the lean "flat spot" from idle to "tip in". Bike has noticeably more power, performance, smoothness and torque through all throttle ranges. Kit works GREAT! A+"
"I built a Honda Bobber from my VLX 600 and had an issue after adding my after market parts but with the help of these guys Jet Kit Calculator my bike now runs like a champ!" "Just installed calculator jet kit on my 1982 honda cb 650 with moderate mods. Main jet 135 and pilot jet 38 along with two needle shims recommended fuel mixture adjustment of two turns was dead on for my set up. 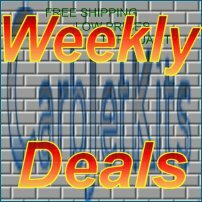 Have already recommended carbjetkits.com to others. Great job and thank you for the great service." "Ordered a Carb Kit for our 2000 Honda Valkyrie with intake and exhaust modifications. It arrived quick and the kit was correct for the modifications done. Very pleased. This particular motorcycle is not for the inexperienced to tackle." "1995 Honda Magna 750 VF . I'm very glad i purchased a set of new jets for my Magna when i cleaned the carbs . She never run so strong . Great gas response and improved gas milage . Highly recomended"
"Thank God for carbjetkits.com I bought a 1984 Honda Shadow Vt700c that needed a lot of tlc. So I have been working on it for the past 6 months. Got everything done but just couldn't get it running right, sordid a little research and figured out that I needed to rejet the carbs after replacing the exhaust with aftermarket pipes and getting rid of the stock air cleaner system. I came to this site knowing nothing about rejetting except where the jets go. The guide was a life savers just plugged in my info and bingo it told me exactly what I needed. I installed the new jets and it purrs like a cat...runs perfectly, thanks carbjetkit.com...two thumbs up!" "I love this site. I will never so anywhere else for jet kits. I've never been happier with a parts supplier. I own a 1988 Honda Hurricane 1000f and it runs better than ever thanks to carbjetkits.com"
"Used the calculator to find the correct jets for my 1993 Honda shadow which is heavily modded. Worked perfectly!! Will be doing business with you guys again once I build the turbo kit for my bike! Thanks again!" "The kit was perfect and the bike runs great. What was most valuable was the system in place to calculate the correct jets for specific setup. It made it easy. I didn't need them but I looked at the instructions and they were well written so some one who did not know much about their carb can install these kits." "I ordered these from a recommendation from the HondaShadow.net forums, and I'm certainly glad that I did. The Shadow tended to be a bear on cold starts, but since installing these jets and the needle valve shim, it starts right up. There's no more coughing or sputtering, and I can be on my way in two minutes, just enough time to gear up! I'll definitely order another set if I make any modifications to my setup, and the calculator takes all the guess work out of it. Definitely recommended."